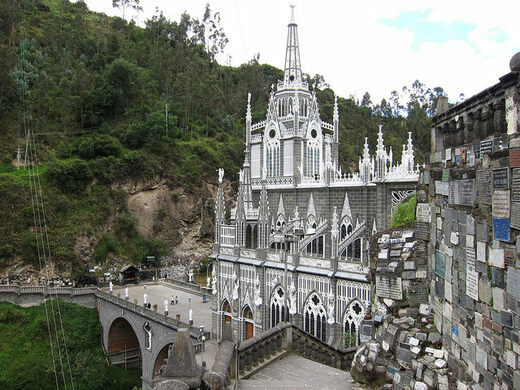 Shortly after the discovery was reported, a blind man wandered for ten years from village to village collecting donations to build a chapel around the image. 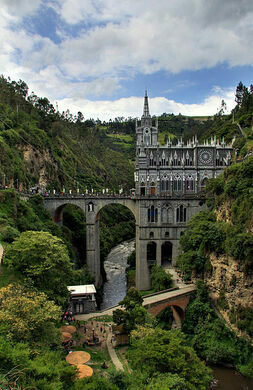 When he returned to Las Lajas, he was able to see again. 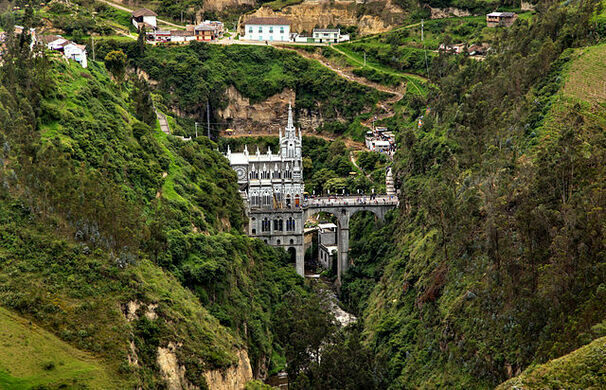 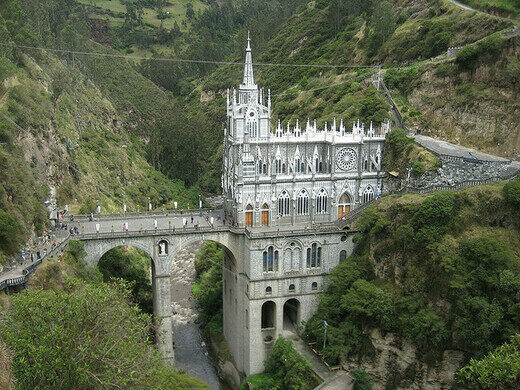 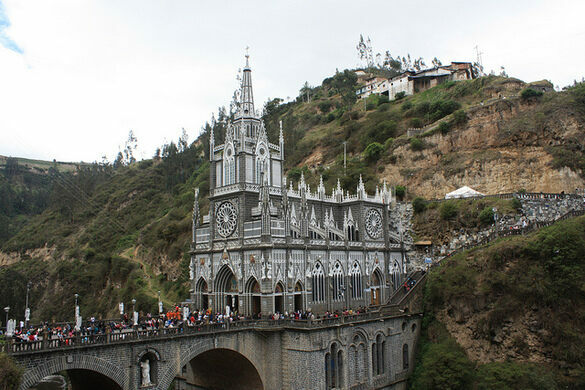 Both of those 18th-century miracles inspired the creation of Las Lajas Sanctuary between 1916-1949, built around the original chapel. 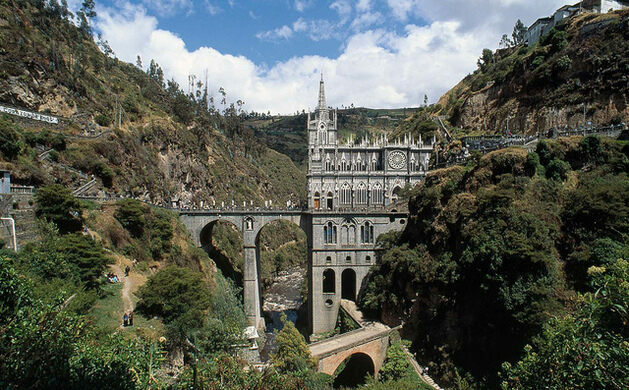 To co-opt the original miracle, the stone image on the cliff forms the back wall of the modern sanctuary, making a gorge-spanning bridge and church combination necessary.